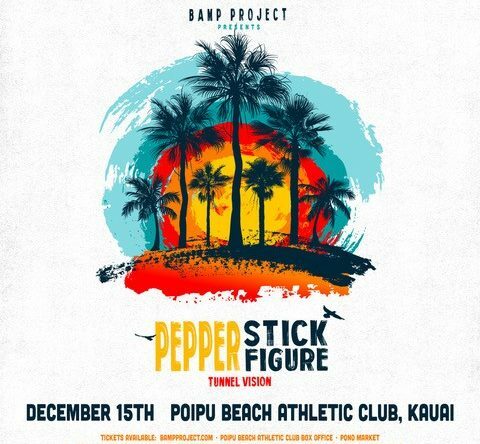 Pepper & Stick Figure are coming to Kauai – December 15th at Poipu Beach Athletic Club. Purchase tickets online at www.Bampproject.com or www.Eventbrite.com. 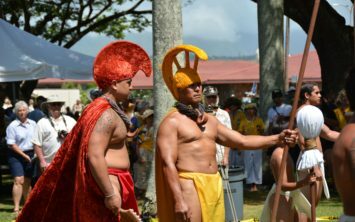 Tickets can also be purchased on island at Poipu Beach Athletic Club, Pono Market, Deja Vu Surf at Kukui Grove, Hanalei Surf, Progressive Expressions, or Rainbow Gas & Mini Mart in Kapaa. 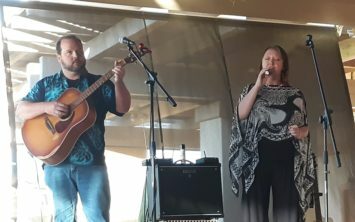 — This is an all ages event. Please do not bring chairs, blankets, strollers, umbrellas, Food or Drink, Drink containers, and of course, Weapons (of any kind).